Need a note taking app? 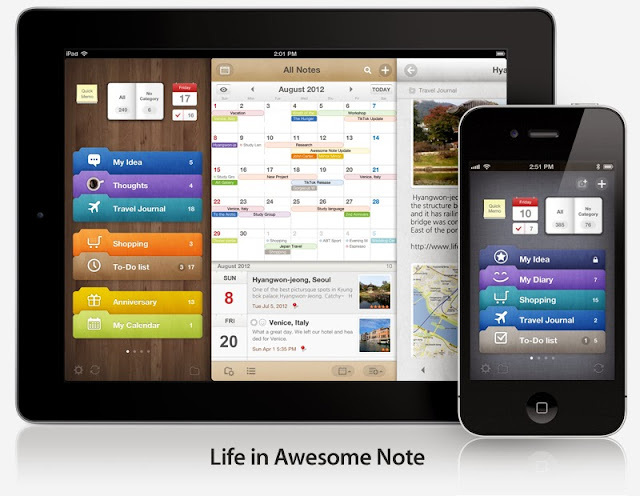 We have compiled a list of best note taking apps for iPhone users. Apple has already equipped iPhone with a notepad, but the in-built feature has many limitations. So if you are one of those people who need to take a lot of notes and capture ideas on the go, then you need to empower your iPhone with few more applications! Listed here are ten sleek note-taking iPhone apps that will keep your notes and ideas more organized. We’re sure that at least one of them will be the perfect fit for your needs. Android users may try best note taking apps on Android devices. You can always use a desktop or web based note taking software, however this article is focused on iPhone note taking apps. 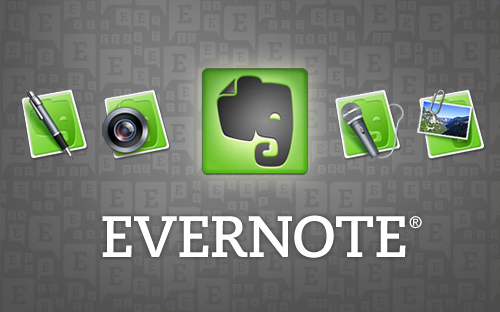 It seems that Evernote has proved itself to be the king of note-taking apps. App Store is flooded with note-taking applications but there’s none that can match its usability and functionality. Evernote is simply the best note taking app. 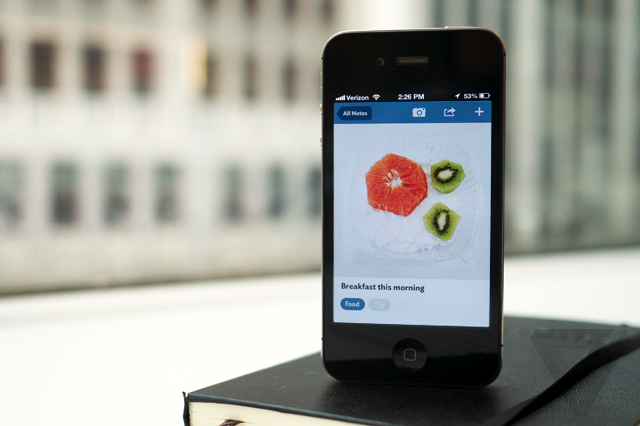 You can capture photos, take notes, record voice reminders and create to-do lists as well. Stored notes can be organized by tags and notebooks. 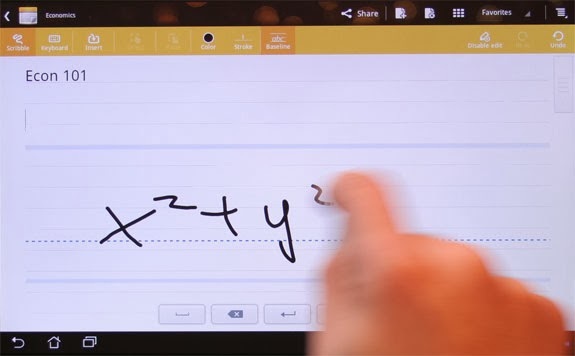 It can even sync your notes across all your devices. So whether you’re at home or on the go, your notes are always accessible and searchable. Though you can download it for free, there’s a paid, premium version known as Evernote Premium which provides you with the facility to lock your app with a PIN and enable others to edit your notebooks. What sets it apart from the rest is its integration with iOS Calendar and Reminders. It also offers sync and transfer facility with Google Drive and Evernote. It would surely be a pity to miss out on such a productive application. It’s Microsoft! So you can bet that it comes packed with plethora of features and is pretty easy-to-use too. This Microsoft Office application allows you to capture your ideas, add photos or make changes in your shopping list. All your notes are automatically saved by the app and synced in the cloud so that you can access them any time. It is optimized to fit into display of iPhone 5 and contains interesting note formatting options. 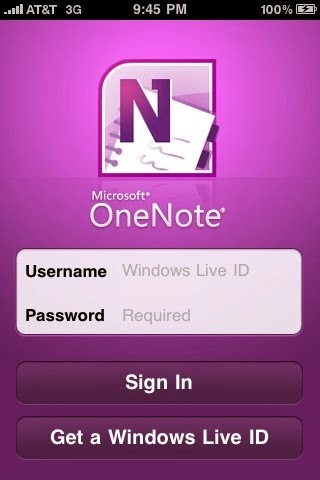 However, you’ll need a free Microsoft account to access this on iPhone. This is a great app for writers: it helps note and access brilliant ideas while you’re on the go. This writing application allows you to outline, edit and research almost anything on your iPhone, and as its developers describe, it does indeed make mobile writing almost perfect. 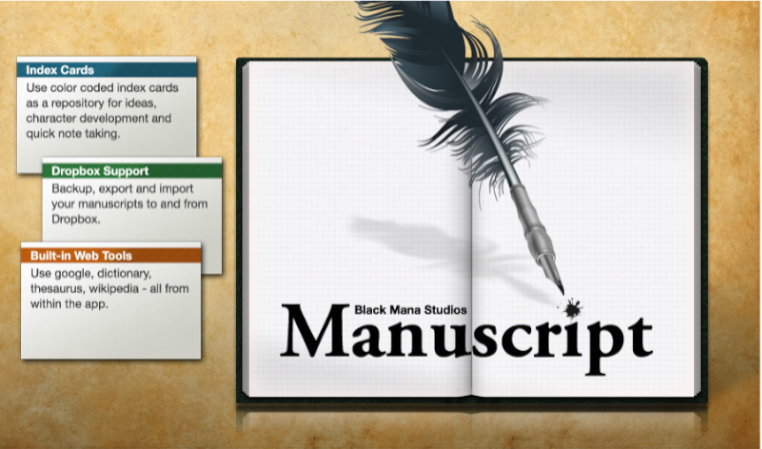 With this application, you can create a manuscript right from the scratch, outline it by using multiple levels, write synopsis or even create index cards. You can import your ideas from Dropbox. Its USP lies in its facility to allow writers to use Wikipedia, thesaurus and dictionary right from within the app. 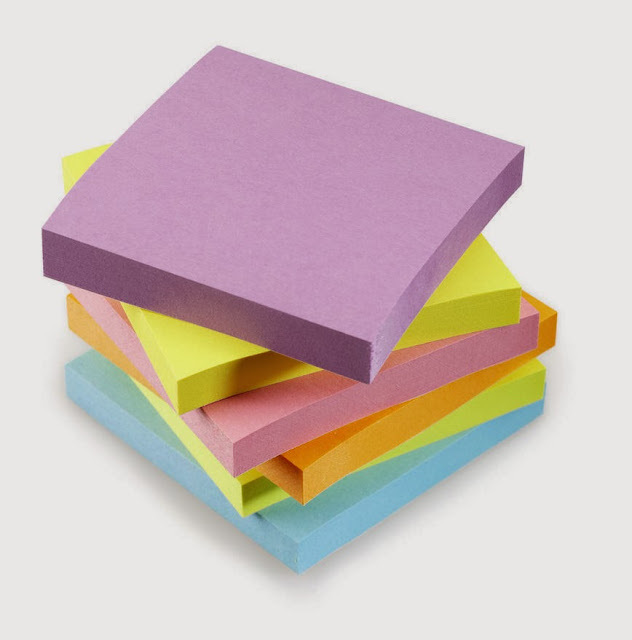 Sticky Notes is a versatile tool that enables you to create personal reminders and special notes for your near ones, besides creating regular notes. You can ensure that your notes and reminders are available to you at the right time by adding alarm to the notes. One truly amazing feature of this application is the facility to add notes to lock screen. This means you won’t have to swipe and navigate all the way to the app to find your important tasks. It also has the facility to password-protect your notes, and it’s free. So there’s absolutely no reason for not downloading this application. From brunch recipes to brilliant ideas, this free, organizer application lets you save almost anything on the go. You can bookmark favorite videos to check later, and you can even follow notebooks of your trusted people. It can also be used to collaborate with co-workers to keep them updated on projects and assignments. Springpad’s USP is its ability to provide users with amazing suggestions. For example, if you’re searching for delicious dinner recipes, then Springpad pairs it with the perfect wine, and if you add a movie, then it’ll let you know whether the movie is ready for watching or it needs streaming. This is an excellent application that will help you to survive school. 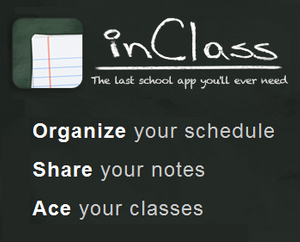 Besides regular, manual notes, you can even take audio, video or photo notes with inClass. Apart from organizing your schedule, this application helps you to share and collaborate your notes with other classmates through a feature called StudyRoom. It also has local alarms which helps you to keep tracks of your tasks. So, it would be hard for you to skip homework. So happy studying ‘inClass’ students! Popular as an elegant tool for notes collection, Vesper indeed lives up to its name with its intuitive interface and great features. You can attach photos with notes and you can group related items by using tags. Its USP lies in its usability. It has a drag-and-drop feature for reordering items and the facility to archive items. If simplicity is your thing, then Vesper is definitely the app you’re looking for. Books, links, to-dos, ideas for blog post or just random facts – everything can be saved and fetched through Fetchnotes. You can create categories by using hashtags and can share the same by using ‘@’ sign. Use the sign with a username or email address for sharing notes with important people. The best part of this app is its privacy control. No one can view your ideas until you choose them to. Well, it is already listed in Apple’s Productivity Essentials, so you can certainly expect great performance from it. Here is an application that allows you to use color codes for your notes so that you can find them without any hassle. It comes equipped with almost all features of a great text editor which include Spell Check, Copy, Paste and Languages. You can export all your notes to Dropbox and add alert reminders for individual notes. Its USP is that the alerts can pop up even if the app is closed, which means you don’t even have to tap the screen to look at reminders. On top of that, it is passcode protected. So now that you have the best picks for note-taking apps, don’t lose any more ideas – start saving them straightaway.